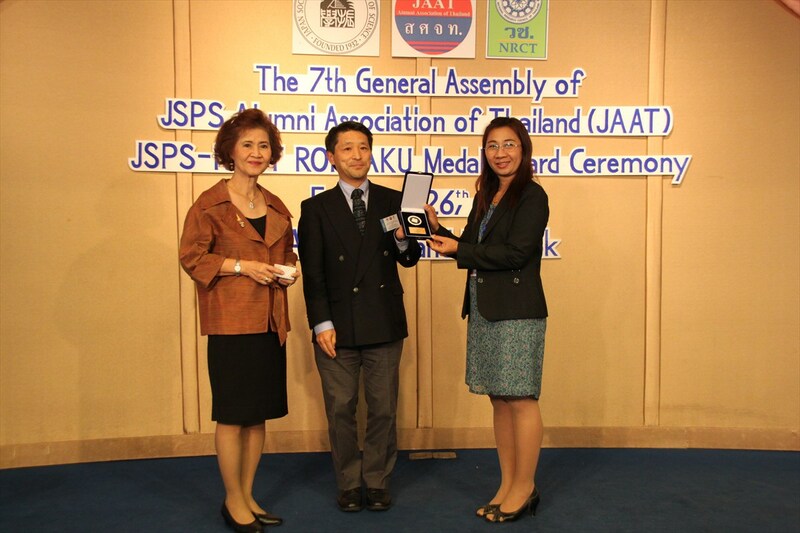 JSPS Alumni Association of Thailand (JAAT) organized the Executive Committee meeting on 26 February, 2016, followed by JSPS-NRCT RONPAKU Medal Award Ceremony, Presentaion on Ph. D. thesis by 2014 RONPAKU Medal Awardees and JAAT General Assembly. ・Dr. 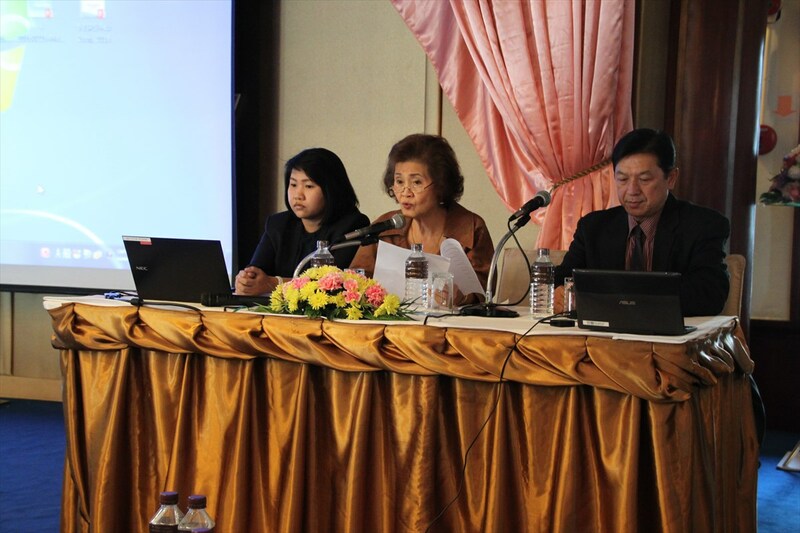 Vannarat from Prince of Songkla University, observer, will be an official member of executive committee. ・Dr. Jiraporn takes over Dr. Supavadee, treasurer. ・Dr. Pornpen takes over Dr. Jiraporn, registrar. ・Dr. 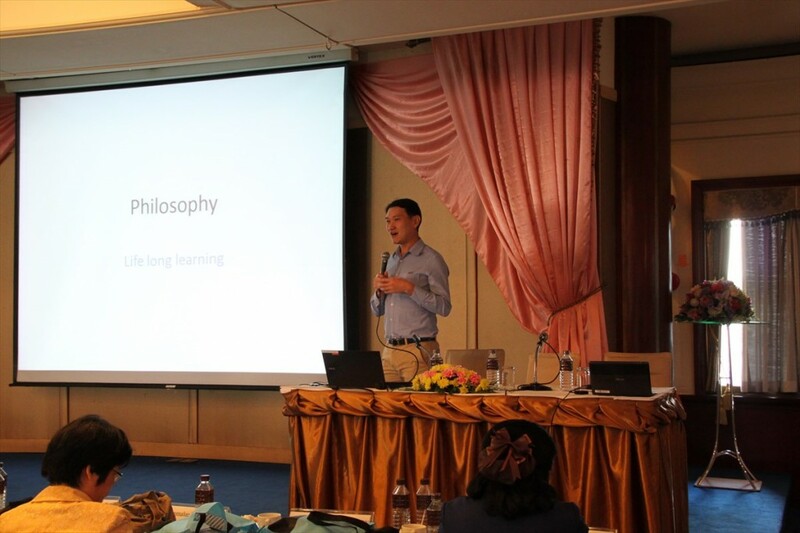 Suraphong from Chiangmai University will be a new member of executive committee. NRCT-JSPS-JAAT seminar will not be held in Research Expo 2016 but held in February. It will be discussed later if NRCT-JSPS-JAAT seminar will be held in Research Expo 2017 or not. Following the JAAT Exco meeting, JSPS-NRCT RONPAKU Medal award ceremony was held. 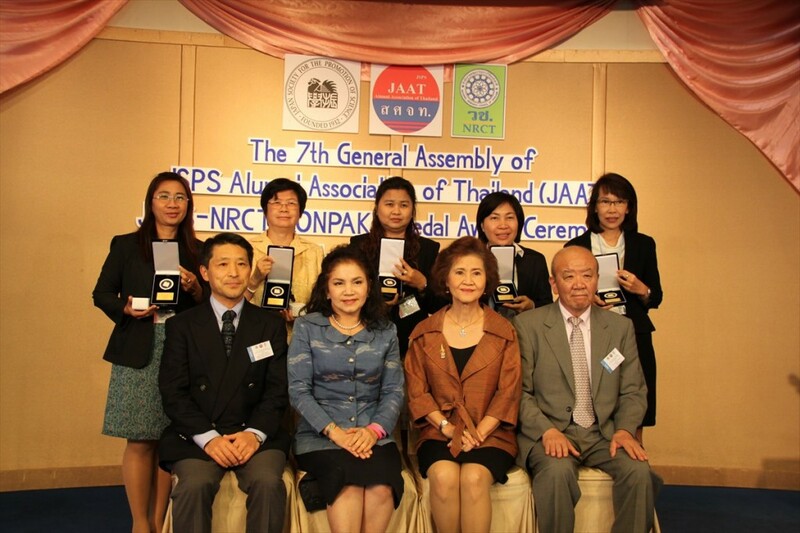 Since 2003, JSPS and NRCT have co-hosted the ceremony in order to honor and further encourage Thai researchers who obtained Ph.D degree under RONPAKU Program. 5 out of 7 awardees, who successfully obtained Ph.D. degrees in 2014, attended the ceremony. 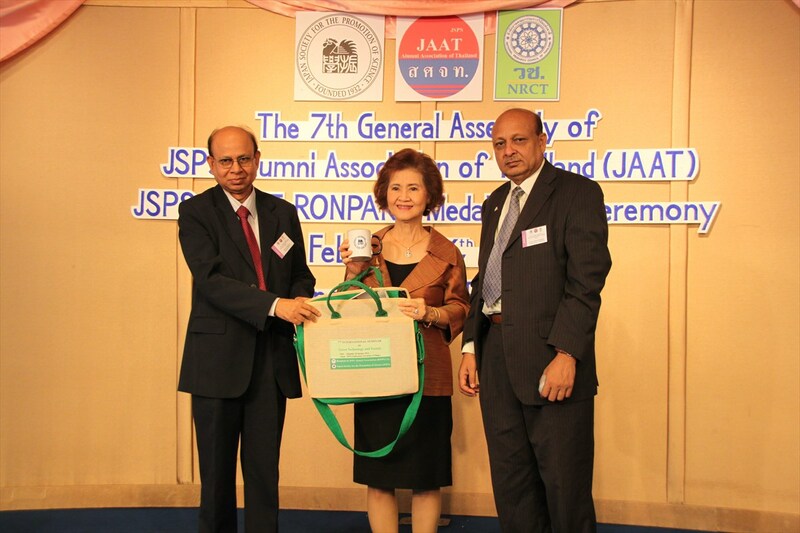 Dr. Jintanapa Sobhon, senior advisor for research of NRCT, Mr. Kazunori Higuchi, head of Overseas Fellowship Division of JSPS Tokyo Headquaters, Dr. Sunee Mallikamarl, president of JAAT and Dr. Nur Ahmed Khondaker, general secretary of Bangladesh JSPS Alumni Association (BJSPSAA) congratulated the awardees and Dr. Sunee awarded the medals. In the ceremony, BJSPSAA presented souvenirs to JAAT. JAAT international seminar held on the previous day was the first occasion for BJSPSAA, JSPS Alumni Association in the Philippines (JAAP) and JAAT to meet together. BJSPSAA also attended the RONPAKU Medal Award ceremony and interacted with members of JAAT and RONPAKU awardees. Presentation on Ph.D. thesis by the awardees was held in the afternoon. 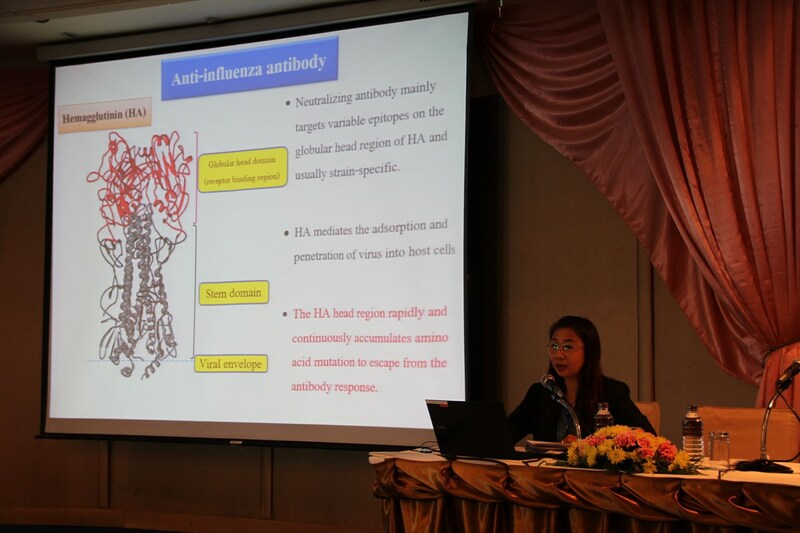 5 out of 7 Thai researchers who successfully obtained Ph. 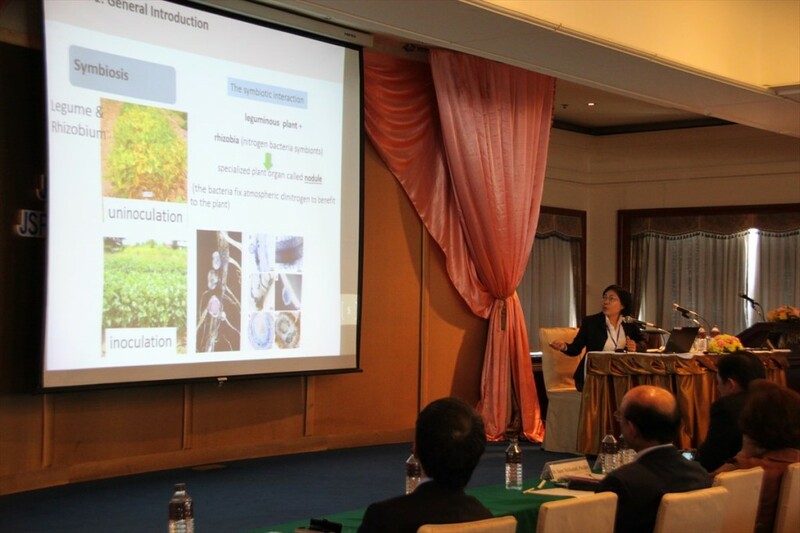 D. degrees in 2014 under RONPAKU program presented their Ph. D. thesis. 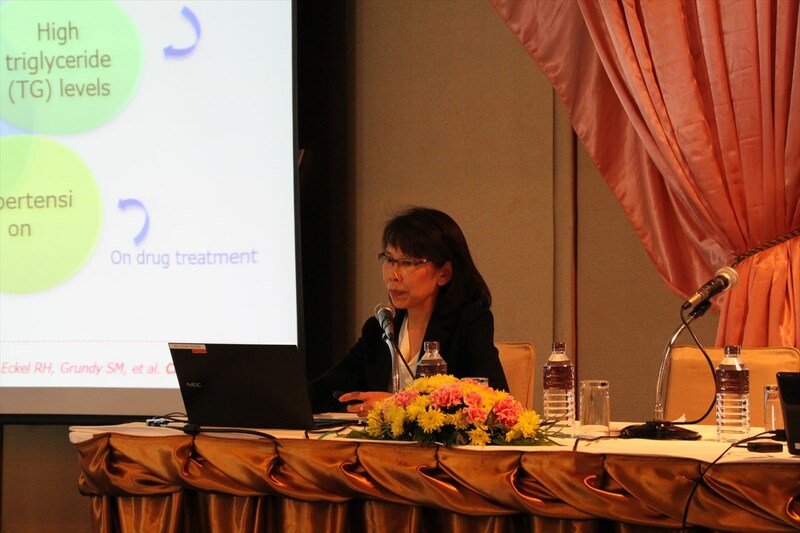 The JAAT General Assembly was chaired by Dr. Sunee, the President of JAAT, and Dr. Danai, the Secretary. 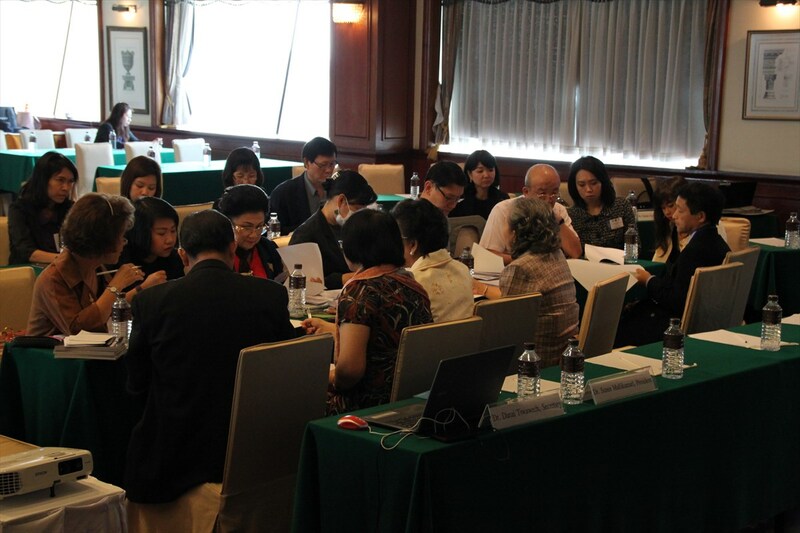 Agendas from executive committee was discussed and authorised. 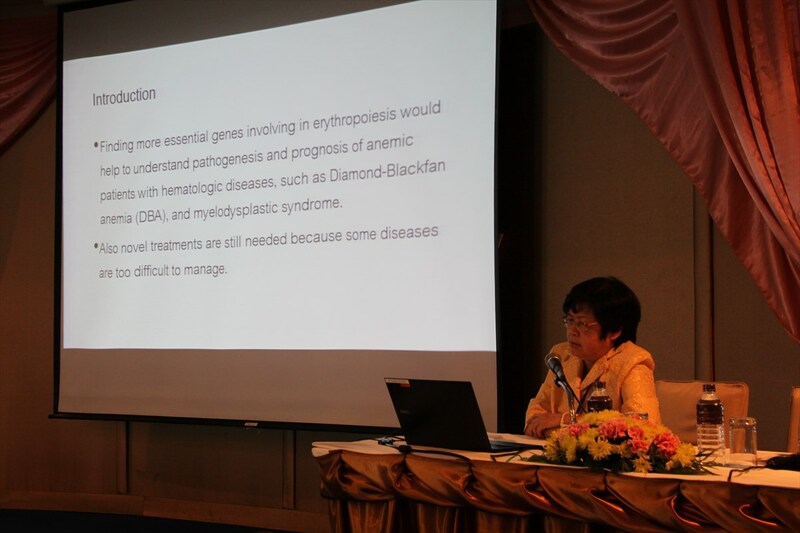 In the assembly, Dr. Kittisak Sawanyawisuth, Department of Medicine, Faculty of Medicine, Khon Kaen University, an awardee of JAAT Bridge Felloship in FY2014 made a presentation. Dr. Kittisak obtained his Ph.D. degree from Japanese University under RONPAKU program. While doing research under supervision of Japanese professor, he learned hard work of Japanese people and how to write good academic papers. Through his re-visit Japan under the bridge program, he succeeded to enhance collaborative networks with Japanese researchers and number of publications dramatically increased. 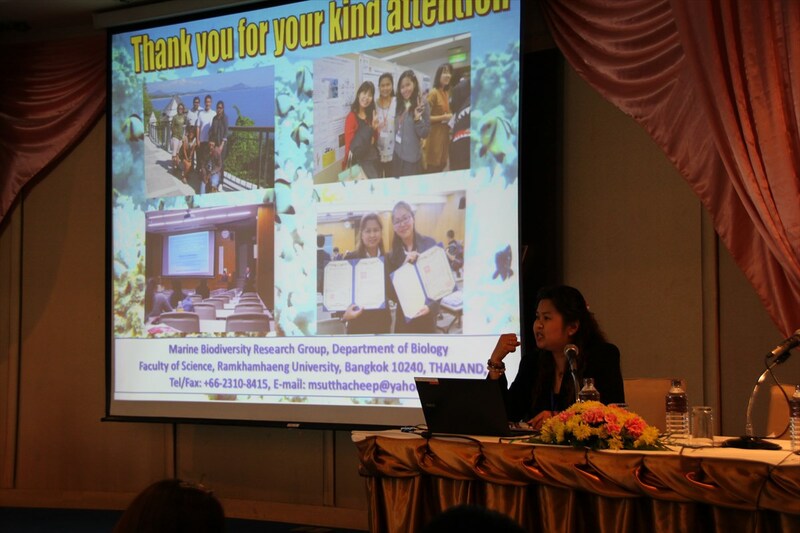 In the Q&A session, participants suggested that more occasions should be set up to share the experience of Dr. Kittisak with Thai researchers, knowing the positive effect of re-visit Japan. 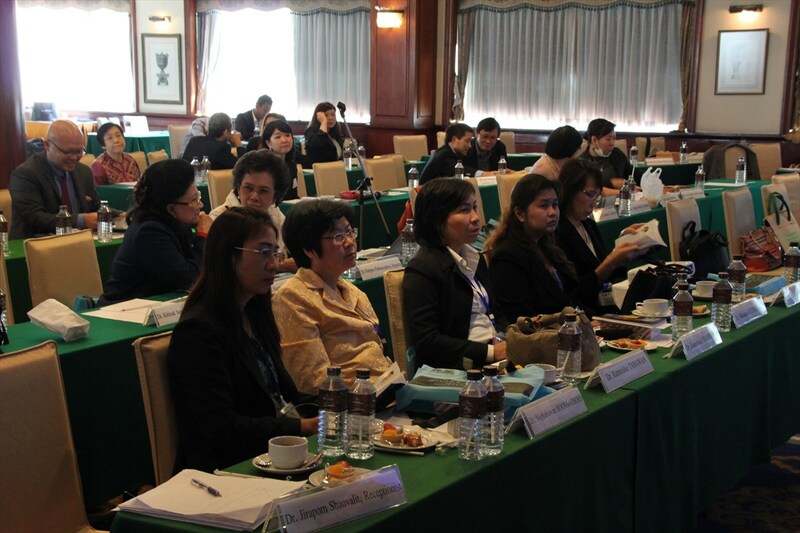 The event was closed with the remark by Prof. Yamashita, director of JSPS Bangkok office.